Perhaps you have some questions you need answered. Maybe you’re not sure about how we buy houses Atlanta. That’s okay. Many homeowners have questions about this process, especially if you’re more familiar with the traditional way to sell your home. We welcome your questions and we’re happy to answer them. Below, we’ve provided answers to several questions that people ask us regularly (as well as our answers), but if you have any other questions that we haven’t answered here, feel free to reach out to us and we’ll gladly answer your specific questions. We’re here to help you! Q: What’s the difference between your way of buying my house versus me selling my house through an agent? The traditional way of selling your house usually goes like this: you work with an agent who will point out what you need to do to your house to sell it. You’ll spend the money and time to fix up the property. Then the agent will show your house and prospective homeowners will walk around your house and decide if they want to buy it. If one of them decides to buy, they’ll make an offer and then see if they can get financing for that amount. Meanwhile, you wait and see if their financing comes through. If your house eventually sells, you pay the real estate agent a percentage of the sale price of your house as a commission. The direct way to sell your Atlanta house is one that is growing in popularity because of how easy and fast it is: Rather than working with an agent, you just call us directly. We’re not agents, and we don’t list houses. We are professional home buyers: we buy houses Atlanta. You don’t have to fix up the property, you don’t have to wait to see if an agent can find a buyer, you don’t have to wait for a buyer to try and get financing, and you don’t have to pay any commissions or fees. Bottom line: this is the faster, easier way to sell your home while keeping more money in your pocket. As we like to say: We pay a fair price on the day that you choose. That’s how easy it is. A: Good question! There are other companies out there that may advertise a “sell your Atlanta home” service but many of them pay a low price because they want to flip your house quickly for a big profit. So they’ll make low offers and even blind offers (offers over the phone without seeing your house). But at AtlantaHouseBuyer, Inc, our business is different: we earn our money over the long-term and we DON’T make an offer without learning more about the house first. We make a fair offer for the houses we buy and our clients are often surprised by how much we’ll pay compared to what other companies offer. A: We’re pretty transparent here: our process is straightforward. We consider the location of the property (where in Atlanta the house is), as well as the condition of the property (including any needed repairs), as well as the values of comparable houses sold in the area recently. And we don’t give blind offers — our process includes an assessment of the house, which means you have the confidence that you’re not getting a “shot-in-the-dark” low-ball offer. A: With the traditional method of selling your house, there are several costs, including commissions and fees you’ll have to pay a real estate agent. But when you sell your house to us, there are NO commissions or fees to pay. It’s simple: We’ll make you an offer, and if it’s a fit then we’ll buy your house. Period. And our commitment is: We pay a fair price on the day that you choose. A: Real estate agents list properties and hope that someone will buy them. The agent shows the properties to prospective buyers if there are any interested buyers (the average time to sell a property in many markets right now is 6-12 months). Then they take a percentage of the sale price if they find a buyer. Oftentimes, the agent’s commission is 3-6% of the sale price of your house (so if it’s a $100,000 house, you’ll pay between $3,000 – $6,000 in commissions to an agent). Agents provide a great service for those that can wait 6-12 months to sell and who don’t mind giving up some of that sale price to pay for the commissions. 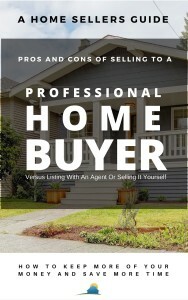 But that’s where AtlantaHouseBuyer, Inc is different: We are professional home buyers, not agents. We actually buy houses directly from sellers, we don’t list them. What’s more: we have the money available right now to buy your house (there’s no waiting). And, we’ll buy your house as-is (you do not need to spend the money or time to repair your house. A: You’ll love this! There is absolutely zero obligation for you. Just tell us about your property and we’ll take a look and make you a fair offer. You remain in control — IF you decide to accept our offer then we’ll pay you a fair price on the day that you choose to close. However, IF you decide not to accept our offer, that is entirely your choice — there is no obligation. We promise: we won’t hassle you; we won’t harass you… it’s 100% your decision and we’ll let you decide what’s right for you.